Saturn's largest moon, Titan, is a very strange place where some very strange things are happening: Methane lakes, magic islands, chemical imbalances, plasti-karst landscapes, prebiotic snow, and methane rain are just a taster of what this weird, frozen-yet-active, moon has to teach us. But there's a big question we'd like to answer even more: Could this weird moon harbour life - or at least something equivalent to life, for an environment hundreds of degrees below freezing where it rains methane? Above: Titan's lake district, as seen through the Cassini space probes infra red camera. Courtesy of NASA. A study from Christopher Mackey, at NASA's Ames Research Centre, has been released to give the world a view on where we are when it comes to answering that question. I'll quote part of the conclusions below. The paper itself is free to download here. "....it may be that if there is life in the liquids on Titan’s surface it may be simple, heterotrophic, slow to metabolize, and slow to adapt with limited genetic and metabolic complexity. The simple molecules needed for metabolism may be widespread in the environment and in the methane/ethane liquids, but the complex organics needed for structural or genetic systems may be hard to obtain or synthesize. The communities formed may be ecologically simple—perhaps analogous to the microbial ecosystems found in extreme cold and dry environments on Earth. ... Titan may have only a simple trophic system, probably without primary producers and without predators. Photosynthesis may be beyond the complexity that can be achieved with the limited element and hence genetic diversity—and food should be free. The simple low temperature life forms and communities envisaged would have very low energy demands and would grow slowly. 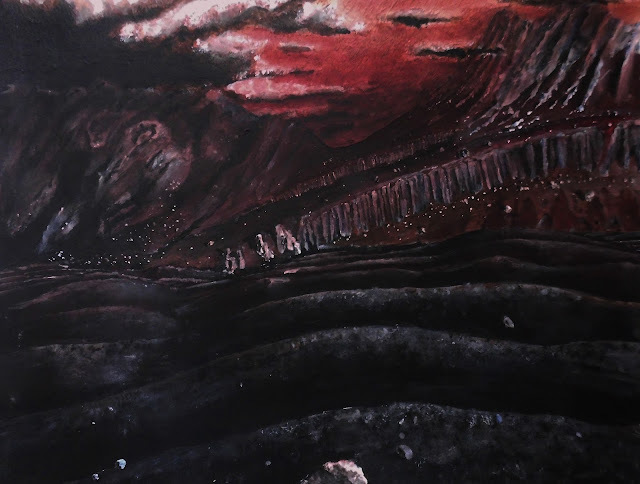 Life on Titan may be not much more than auto-catalytic reactions encased in azotomes. However, if it had genetics, and were thus Darwinian, then what a wonderful life it would be: a second genesis different enough from Earth life to suggest that our Universe is full of diverse and wondrous life forms. In terms of ethical considerations, the search for a second genesis of life on Titan contrasts with the similar search on Mars. On Mars, issues of contamination both with respect to the Martian environment and back contamination of the Earth are important concerns. Furthermore, it has been suggested that if there were a second genesis of life on Mars the global conditions are not favorable for it and humans may choose to intervene to improve them . In contrast, possibilities of contamination of Titan with water-based life from Earth are essentially zero, as are the possibilities for back contamination of the Earth with life from Titan." So, basically, we don't know enough to call it yet - but if there is some form of alien life there it is likely to be both primitive and truly unique from life on Earth. Could gravitational waves be used in an FTL engine?